The prospect of selecting the right glass for the right wine can be a challenge if you’re uninitiated in the world of wine. In general, wine glasses are categorized as Red Wine Glasses, White Wine Glasses or Champagne Glasses, but among enthusiasts, these broader categories can be broken down even further. For example, the broader category of “Red Wine Glass” can include Bordeaux Glasses, Pinot Noir Glasses, Beaujolais Glasses and even Chianti Glasses. With seemingly infinite variations in style and pattern, lines quickly become blurred and it’s easy to get hung up on wine glass classification. When making a decision for your tabletop, it’s helpful to know about the basic form and function of the most popular wine glass patterns. Wine glasses are almost always formed with a stem, a foot and a bowl. Wine is served in stemware, primarily to prevent the transfer of body heat from hand to beverage. A little knowledge and some common sense helps when making a decision. But remember that just as oenophiles may differ on the best wine and food pairings, so too can they differ on the best wine and glass pairings. 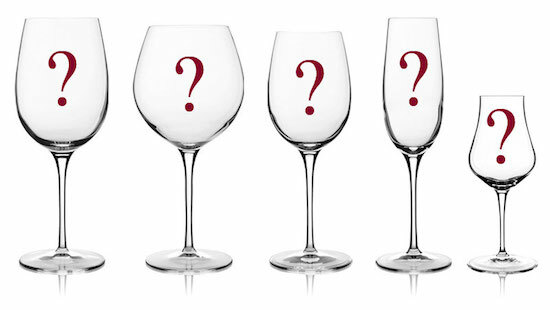 Don’t forget to give a nod to personal preference and style when selecting the best wine glass for your holiday table.